I am a Mom of a 5 year old residing in the USA . I came across your website due to my interest in TRIZ which I am attempting to learn on my own. I want to teach this to my son and to the children in my community. I am exteremly grateful that you can make this material available on the internet for the common man! Wishing you much success with making TRIZ mainstream in the education systems around the world! Thanks so much for responding to my email. I am so happy & excited to see your response!!! Thanks again for your wonderful work on Triz for children. It is very inspiring and motivating to see such wealth of knowledge shared with the public for the benefit of our future generation. I hope to learn and contribute just like yourself through small games and color visuals. I think this will make it easy for my son and other children to learn. I have a long way to go in understanding and applying the concept, however feel motivated by the work Rubina & yourself have shared so loving and generously! Dear Toru! Thank you very much for your congratulations! I am very pleased that an interest in my work among parents and among children! I have more materials for this course TRIZ for children, but they are in Russian. For example, the work of "Games in the classroom for TRIZ". This is a collection of games for practice. There is an additional demonstration material for the sessions (presentations on the topics of the course). There are several articles in English. They are written about methods of diagnostics of inventive thinking. How do you think this may interest Anita Narayan? How's things with you? Hi, Toru: VERY impressive set of papers, which I'll be recommending in my Twitter news and directly to several clients who need them. Thanks! Hazimemaste Toru Nakagawa san, First of all I would like to convey "My New Year Wishes to you, your family & all your team - 2014" who are doing a great job in sharing knowledge & spreading "Shiny Eyes & Smiles" across. Keep doing such great work & spread knowledge to help mankind. Arigato gozaimasu Toru san for sharing. Would like to learn & apply more. Dear Prof. Nakagawa, First - I'd like to say thank you for being a thought leader in the TRIZ eco-system and taking it forward. If the eco-system has come to where it is, that is because of a handful of people and you are one of them. In a lot of ways - watching you develop this ecosystem has taught me a lot and I owe you that. I have Darell Mann's book and so I don't need that. - Producing a lot more TRIZ masters. - help in documenting a lot of the TRIZ learnings. As an authority and a professor who straddles both Industry & Academia, you are probably in the unique position of driving this. Dear Toru, I am glad to read that you are always so active in TRIZ world ! As you know, there are now 2 years that STEPS software is on the market. The first and only TRIZ related French software (bi-lingual English-French) should in my mind pre as much present on your webpages as Goldfire is. It is important in today's world of TRIZ to help small companies to grow (especially when this company benetifs from academical research on TRIZ to build its functionalities). Hello Toru, You mention that Southbeach has demo videos. Is this true? Can you provide any links to the videos? Dear David, Thank you for your message. I checked and found that I was confused with the slide show and demo videos. 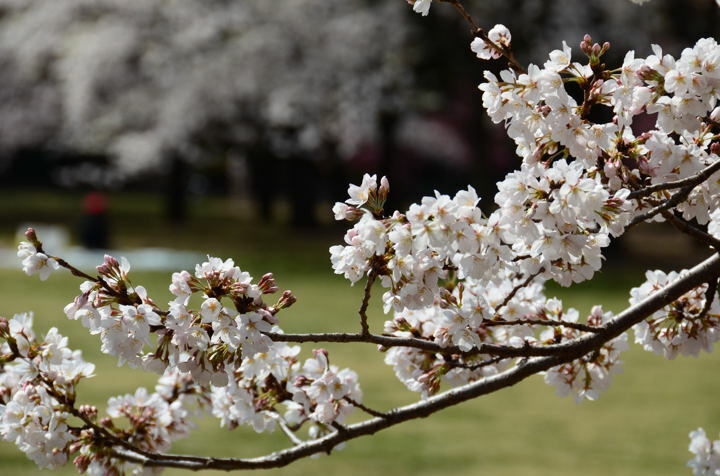 Hello, Toru: Thanks for the beautiful cherry blossom picture. My taiko drum group will be playing in the Cherry Blossom Festival celebration in Los Angeles. Of course the TRIZ Home Page in Japan has many things that I will recommend to my readers, but I particularly wanted to thank you for the beauty and delicacy of the picture. Dear Toru, Happy to receive the new email from you and TRIZ activities in Japan. The Korea article was so useful and I have to thank you again for sharing this information to all on the web. First of all I would appreciate your great photo of cherry blossoms that you personally took. I also thoroughly enjoyed reading as a kid of TRIZ without any hands-on experience on real project yet "Effective strategy to introduce and propagate TRIZ ". It was a good presentation explaining different aspects and journey of TRIZ,the real hard lessons learnt etc. while implementation during the successful implementation. I also liked some of the strategies that you mentioned by your experience and others in the presentation. Arigato for sharing your invaluable experience and your efforts in spreading TRIZ knowledge across board. May be it may sound naïve/childish on my part though I am not much experienced hands-on as other TRIZ experts, I somehow feel there is still some important missing link in the approach/strategy of implementation to make it easily replicated across all NPD teams, R&D teams, across all companies. Please apologise me for my ignorant comments above. I just want the team to make it more implementation friendly & applicable for easy replication across irrespective of TRIZ expert/Person driven approach towards more robust, capable & reliable process driven approach if rigor is followed by a reasonable expert of TRIZ & subject matter experts of the problem area to build that confidence of the leadership team. Since I am exposed to & used some of those concepts mentioned in the roadmap in my previous little experience in industry, I feel, I thought I will share my honest feedback after reading carefully the presentation. Kindly ignore if my above feedback is irrelevant or is with lack of depth of my experience on the TRIZ real time implementation. Arigato gozaimasu. Continue to spread knowledge & spread "Shiny eyes & Smiles" across with your experience. thank you for compiling the Korea TRIZ papers in English . It's certainly very nice to learn from those who have been there. Keep up the great work in maintaining the TRIZ website. Appreciate it loads. Many thanks. Dear Prof. Thank you for your email. I have read the articles in the home page that you have created. I found the information given is very interesting and useful. and not to forget the beautiful photo of cherry blossom. Thanks for sharing. Dear Toru Nakagawa-san, Thank you very much for very interesting and valuable information. Mr. Altshuller noted that TRIZ Contradiction Matrix cannot be extended more and more. In this case it will be transformed into Trial And Error Method. Mr. Altshuller and his team already did such attempts in the past.